Amnesty International issued a statement urging the Iranian regime to stop harassing, arresting and imprisoning women’s rights defenders peaceful protest against Iran’s degrading and discriminatory forced veiling laws. Following decrees for the re-arrest of civil activists, Yasamin Ariani and her mother, Monireh Arab-Shahi, and another decree to sentence a compulsory veil protester, Vida Movahedi, to one year in jail, Amnesty International called for immediate and unconditional release of these jailed women’s rights activists. Vida Movahedi a young mother has been in jail since mid-fall of 2018. The Iranian regime’s parliament voted down a proposal to allocate a one-sixth quota of parliamentary seats to women by a vote of 110 to 79 on Tuesday, April 16. Sadaf Khadem, the first female Iranian boxer who won an overseas fight, intends to stay in France, where she fought last weekend. Khadem and her trainer, Mahyar Monshipour, are in Poitiers and had been expected to return to Tehran after the win over Anne Chauvin. 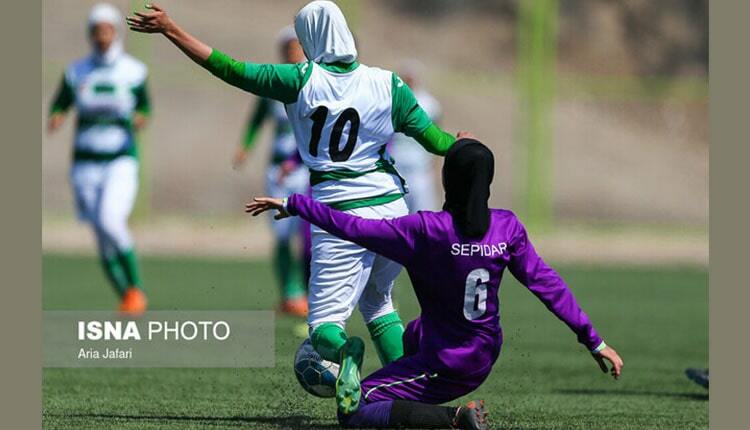 The 24-year-old, who works as a fitness trainer in Tehran, had defied Iranian reime’s rule that female athletes should dress in line with Islamic laws. Khadem was bare-headed and wore shorts for the bout in Royan. Posted by Radio Irava at 12:55 p.m. 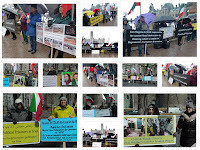 The Iranian_Canadians yesterday Sat. 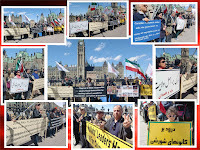 April 13, during their weekly gathering stood in solidarity in front of the Parliament Hill and across from Prime Minister's office with the Iran flood victims and called for Canada to designate IRGC (Islamic Revolutionary Guard Corps) as a terrorist entity. 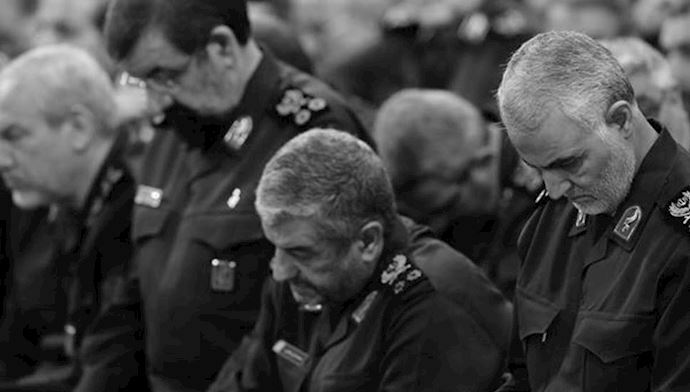 US designated IRGC as a terrorist entity on Monday April 8. 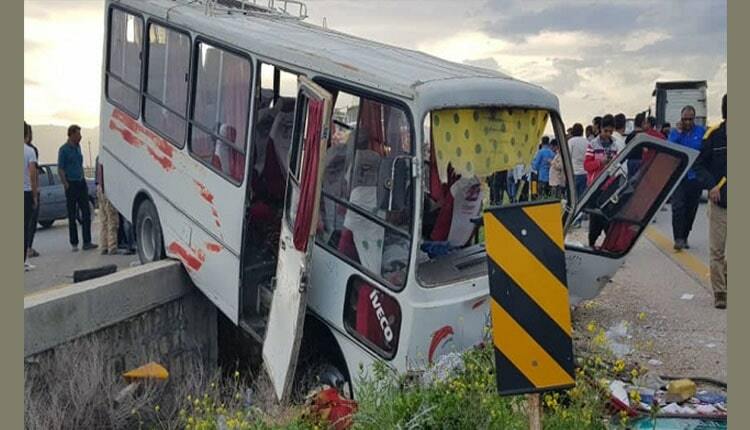 Emergency officials in Iran said a minibus carrying elementary girl students crashed on Thursday, leaving 20 injured and 3 other passengers dead. According to Fasa emergency in south-central Iran, some of the injured were in critical conditions. While the Iranian regime spends billions of dollars not only in the wars in Syria and Yemen, and on missile tests and terrorist activities, but to rebuild Syria, and other countries little budget is allocated to the country’s infrastructure and education. 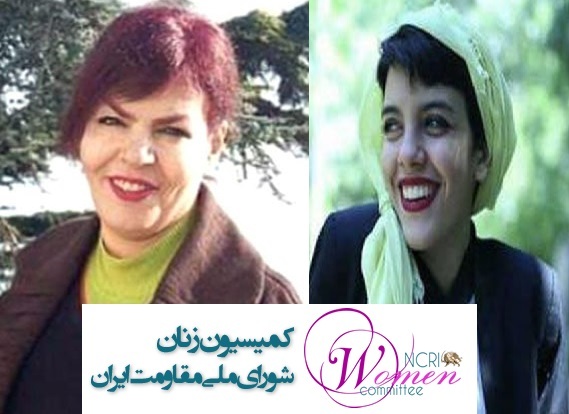 According to Women's committee of the NCRI(National Council of Resistance of Iran) on Thursday, April 11, Mrs. Monireh Arab-Shahi, mother of the civil activist and theater actress, Yasamin Ariani was arrested. She was transferred to the notorious Qarchak Prison on the next day. When referring to Vozara detention center in Tehran on Thursday April 11, to get news from her arrested daughter, Yasamin Ariani, Mrs. Monireh Arab-Shahi was arrested on location. It is said that regime’s SSF (state security forces), referring to their residents on Wednesday, April 10 had warrant to arrest them both mother and the daughter, but as Mrs. Arab-Shahi was not in, they only arrested Yasamin. The warrant was issued by Karaj’s prosecutor’s office. Yasamin Ariani was arrested along with 50 other protesters on July 2, 2019, in Tehran when protesting the dire economic situation and the corruption. The arrest was carried out by security forces and they were transferred to Great Tehran and Qarchak’s prisons. 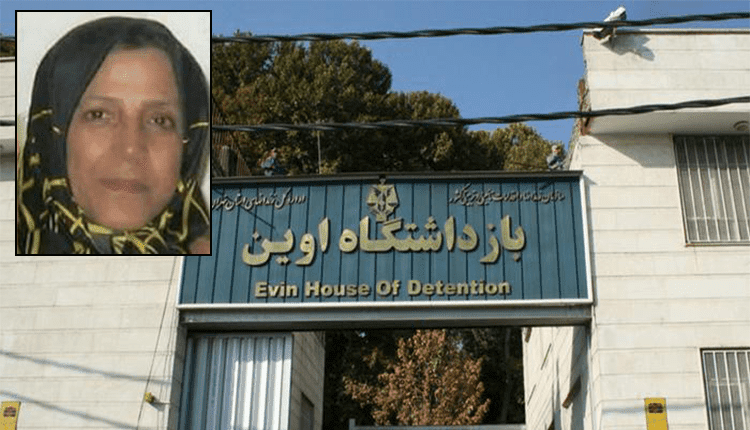 Former political prisoner, Fatemeh (Hoorieh) Ziaee Azad, 56, was transferred to Women’s Ward of Evin Prison on Tuesday, April 9 to serve her one and a half year sentence. Fatemeh, who formerly served five years of imprisonment between 1981 and 1986, was charged with supporting the PMOI/MEK, People’s Mojahedin of Iran. She was also jailed on January 21, 2009 and released early winter of 2010 for “going to MEK base in Iraq” to visit her two daughters. 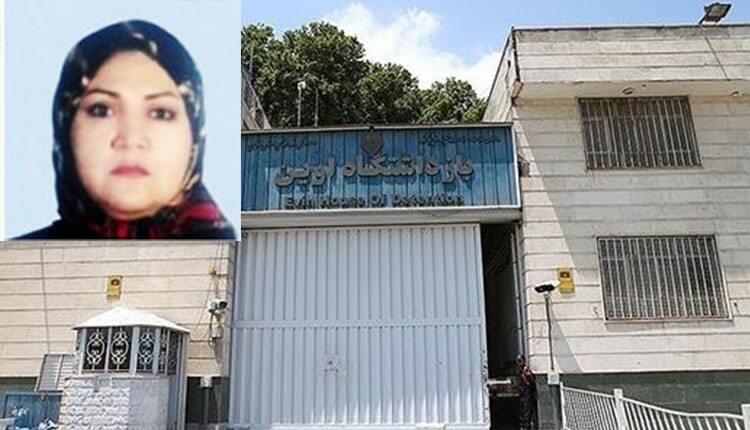 She was once again arrested on June 8, 2013 but was released from Evin Prison on October 17, 2013 due to her age, her suffering from MS and dire physical condition. Fatemeh Ziaee Azad was arrested again in early autumn of 2014 along with her husband Mahmood Azimi. Mr. Azimi was freed in late autumn 2014, and Fatemeh in mid-winter of 2015 on 100 million toman bail, each. Following the event, Fatemeh was sentenced to 1.5-year imprisonment. The verdict was endorsed by the revision court and she is now serving her time. In another event, Ms. Rahemipour is to pay 80 million rials to buy her prison term. She was sentenced by Tehran’s Revolutionary Court on charges of “propagating against the establishment” for corresponding to UN about the fate of her brother and her niece. She is sentenced to one year in prison. The decree was issued by the revision court on April 9. 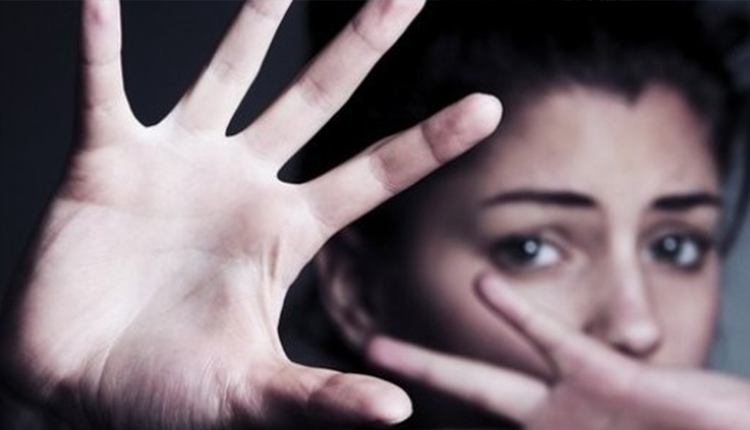 As the UN Working Group on Enforced or Involuntary Disappearances started to look into her complaint and inquired the Iranian regime about her brother and niece, the regime began pressuring her. 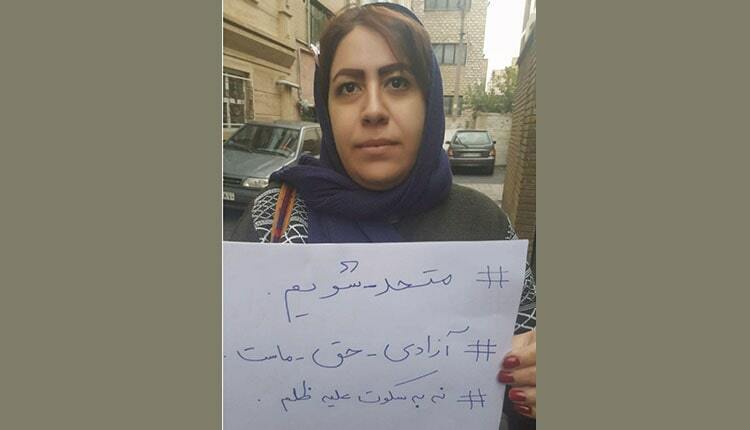 Ms. Rahemipour’s brother, Hossein Rahemipour, a dentist, was arrested along with his pregnant wife in 1983. In spring of 1984 the Rahemipour family was informed that the child, Golroo, was born in Evin Prison but had later died. In late summer of the same year, Hossein was executed. His death was announced to his family by phone. 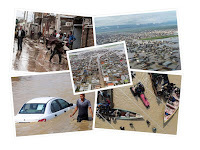 Posted by Radio Irava at 10:54 a.m.
Increasing storms across vast areas of Iran are signaling more floods and further devastation for hundreds of thousands of people throughout the country. 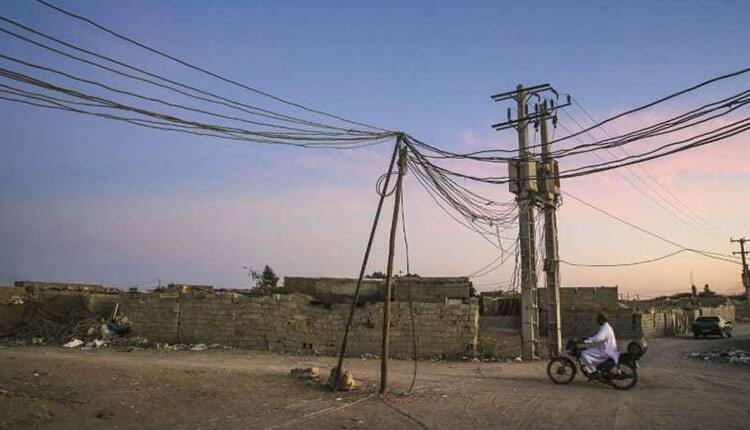 According to People's Mojahedin Organization of Iran website, Mojahedin.org, electricity in various areas of Ahvaz, the capital of the oil-rich Khuzestan Province in southwest Iran, is down. This includes even downtown areas of this major city. Reports indicate local authorities in this province have also issued orders for more water to be released from dams, placing even more cities, towns and villages in danger of being engulfed by raging waters. 161 villages of Khuzestan are reporting not having access to drinking water due to the recent flood. Many farmlands and local date trees have been severely damaged due to the rising waters. There are rumors that authorities may issue evacuation orders for the city of Karoon, with over 200,000 residents. In Lorestan Province, west of Iran, around 200 roads leading to villages across this province have been blocked due to floods. Iranian regime’s state-run media published articles describing the wrath of Poldokhtar residents against Lorestan's governor and a MP from the regime's Majlis (parliament). “Angry residents of the town of Poldokhtar facing catastrophic situation caused by the devastating flash floods and the lack of relief and government attention to their problems, and also due to government mismanagement in sending aid to the needy, reacted angrily when two officials from the governorate visited their town. The people protested fiercely and cursed those officials for not doing anything. 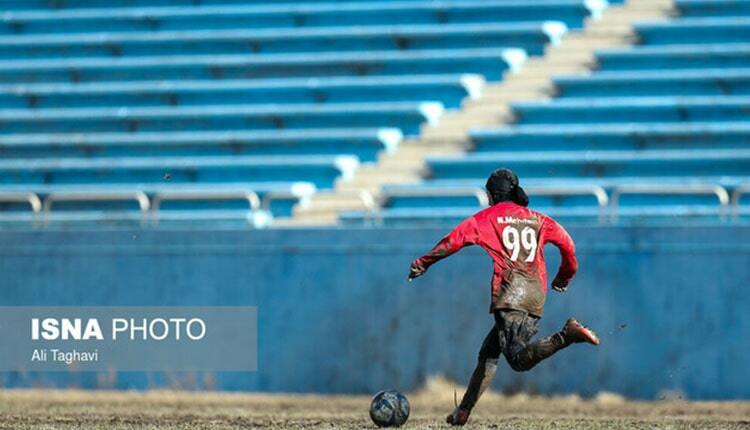 They put the blame on these and other officials for their miseries." 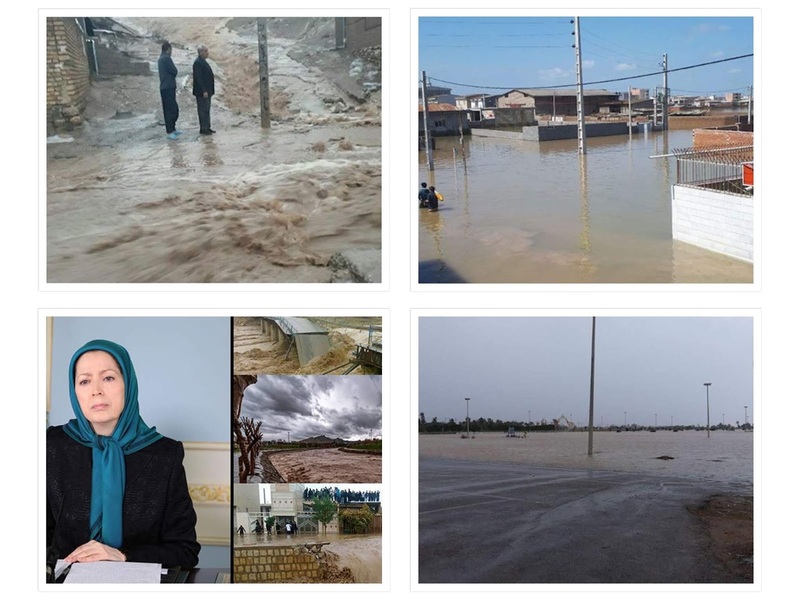 In other news, flood-ravaged residents of Poldokhtar, angry of the regime’s inaction and destructive policies contributing to the vicious floods, attacked Ahmad Khadem, commander of the South-Moghaddam military base on Wednesday April 3. Ahmad Khadem’s visit to this town happened after the IRGC (Islamic Revolutionary Guard Corp) opened floodgates redirecting huge amounts of water towards the town washing out most everything on its path, and submerging most of the agriculture lands. It is worth mentioning that on Tuesday, Mohsen Rezaie, former commander of the Revolutionary Guards, IRGC, in a mock attempt travelled to Poldokhtar to pose for TV cameras and reporters pretending the regime is concern of the fate of the people. But he was confronted by angry people, especially the youth shouting “Let them get lost,” and “Get out of here!” Being surrounded by his guards and security, he was forced to flee. People who have lost their entire livelihood to the flashfloods get angry and furious when they see an official coming there just to pose for selfies. 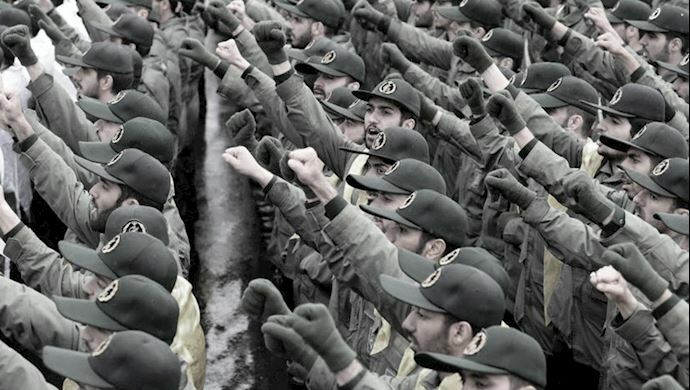 The United States government will officially be designating the Revolutionary Guards (IRGC) in Iran as a foreign terrorist organization (FTO) this coming Monday, according to a US government official talking to The Wall Street Journal. The Trump administration is gearing for this move that will significantly expand the United States’ maximum pressure campaign against the mullahs in Tehran. 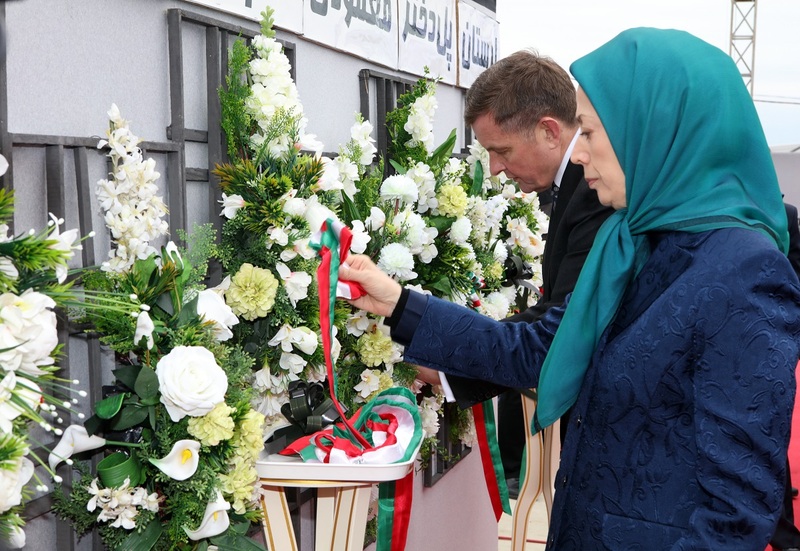 On January 11, Mrs. Rajavi called for the specific IRGC blacklisting as an FTO alongside the referral of Iran’s human rights violations dossier to the United Nations Security Council. Washington’s recent decision follows months of debates and negotiations, and is expected to be announced on Monday. This designation is considered an unprecedented move, especially taking into notice that the IRGC is a military entity of this regime and responds only directly to Supreme Leader Ali Khamenei. U.S. Secretary of State Mike Pompeo and National Security Adviser John Bolton strongly support this measure with the objective of imposing further pressure on the IRGC and the regime ruling Iran. Since its foundation back in 1979, the IRGC has played an active role in domestic crackdown against all protests and uprisings throughout the past 40 years, and expanding the mullahs’ malign influence across the Middle East through terrorist proxy groups. The 1983 Beirut bombings that left over 240 US Marines killed in their barracks was carried out by the Lebanese Hezbollah, a terrorist group sponsored, trained and funded by the IRGC from day one. Posted by Radio Irava at 1:09 p.m. 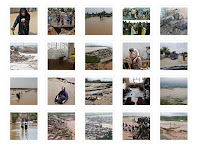 In the wake of the flood now in 30 of Iran’s 31 provinces which according to the Iranian resistance, has taken the lives of at least 200 people in Shiraz and other cities, the Iranian Resistance’s President-elect Maryam Rajavi sent a message to the people of Iran on Wednesday, March 27, calling for unity and cooperation and solidarity in order to prevail over the flood and the rule of the mullahs. 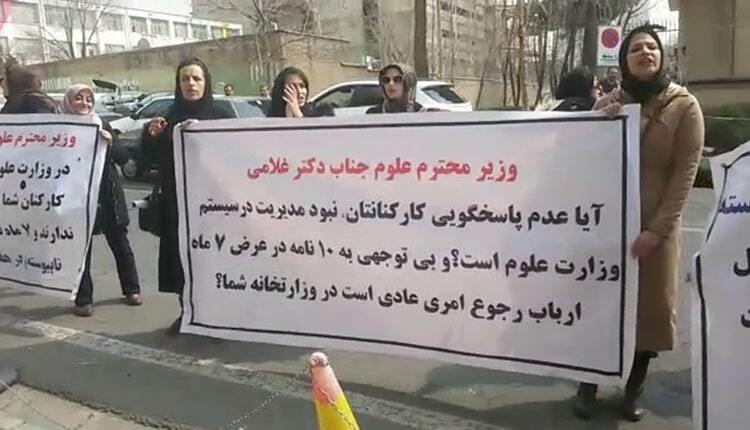 She said in part: The corrupt mullahs have inflicted this catastrophe on Shiraz and its valiant people. They destroyed the channel which used to lead flood waters out. In the dry seasonal river bed beside Darvazeh Quran, they built urban facilities to gain huge profits for themselves and their accomplice. In other cities, they have constructed buildings in the periphery of rivers or have blocked the natural paths of rivers. In implementing such a corrupt policy, they have taken over, damaged or sold river banks, sea shores, foothills of mountains, and jungles which are public properties…. Amid the disastrous flooding and such vast devastation, there is not much presence of aid workers and relief agencies. Instead, the mullahs have dispatched the Revolutionary Guard Corps and the Bassij paramilitary force to quell the outbreak of protests. Shiraz needs emergency aid for the injured and assistance to clear the ruins and rubble, but Rouhani hastily sends there his Minister of Intelligence and his mafia of executions, suppression and terror…. I urge everyone, particularly the young men and women, to form their popular councils in every neighborhood, and in every city, town and village to confront the floods and their disastrous consequences…. 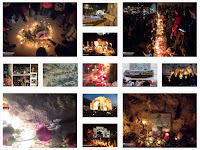 Let us build with our tears and sorrow a force of sympathy and unity against the mullahs. In these difficult days, rely on one another and let people rely on you. Take one another’s hand and let us come together to advance our plans for a free and prosperous Iran. 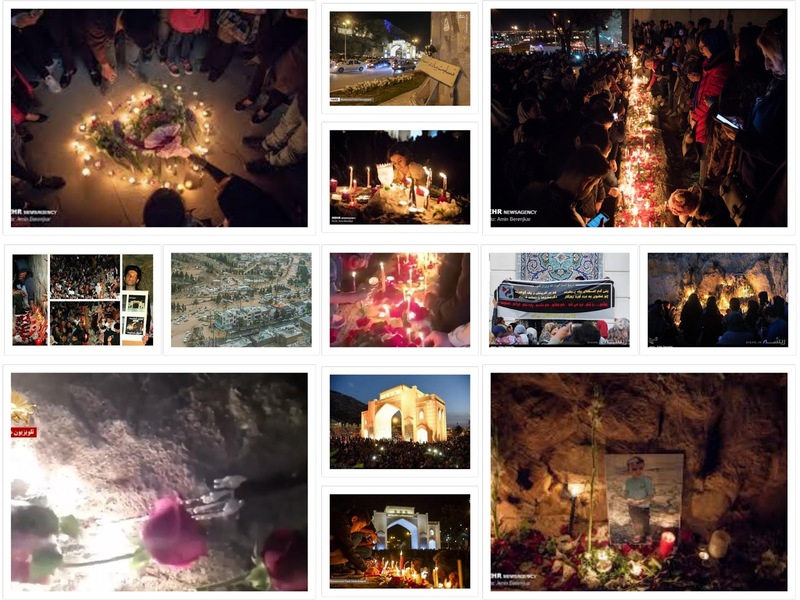 The people of Shiraz in south-central city of Iran, held a memorial ceremony for the victims of flood in Darvazeh Qur’an or Qur’an Gate. In order to didpers the crowd, the city’s Friday Imam and Khamenei’s representative in Shiraz held a similer ceremony in ShahCheraq mosque and regime’s forces tried to guide people to that location which failed. People sang Iran’s real National anthom and declaired they wouldn’t leave. 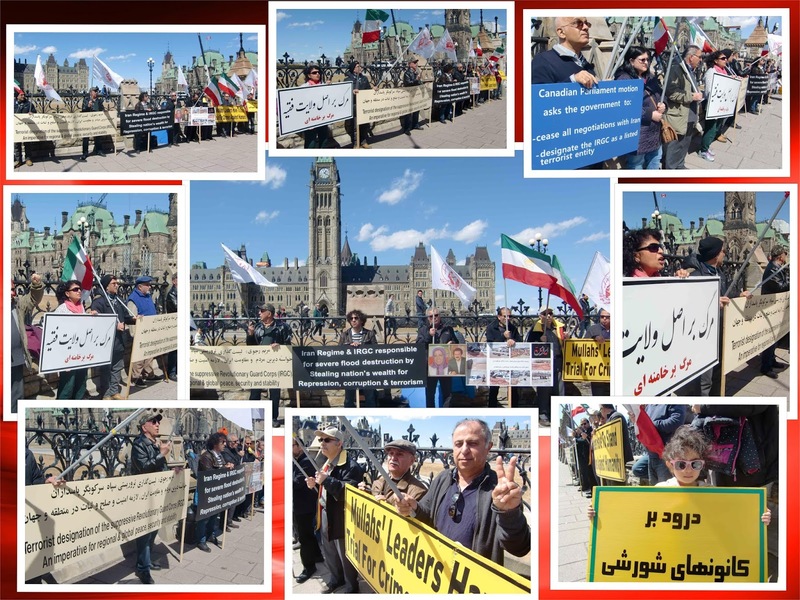 They also chanted against the main reason behind the flood, which is IRGC or Sepah. 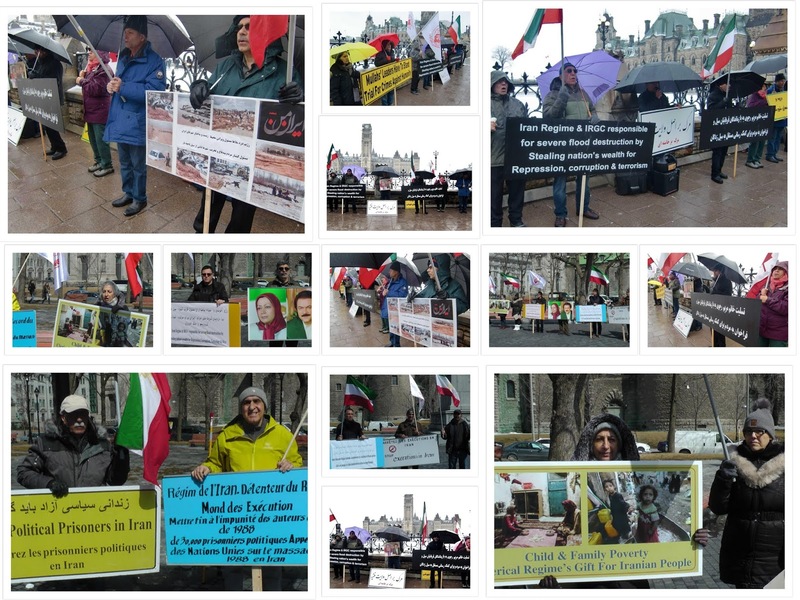 - On Friday and Saturday March 29 & 30, 2019 the Iranian supporters of PMOI/MEK and NCRI held memorials in solidarity with the victims of #IranFlood2019 in Ottawa, Montreal and Toronto. 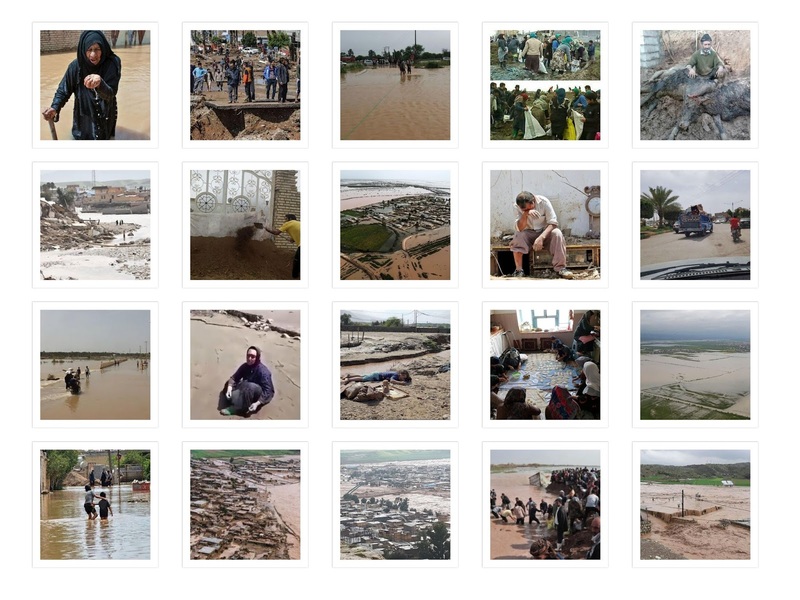 According to the Iranian resistance more than 200 people have perished during the flood. 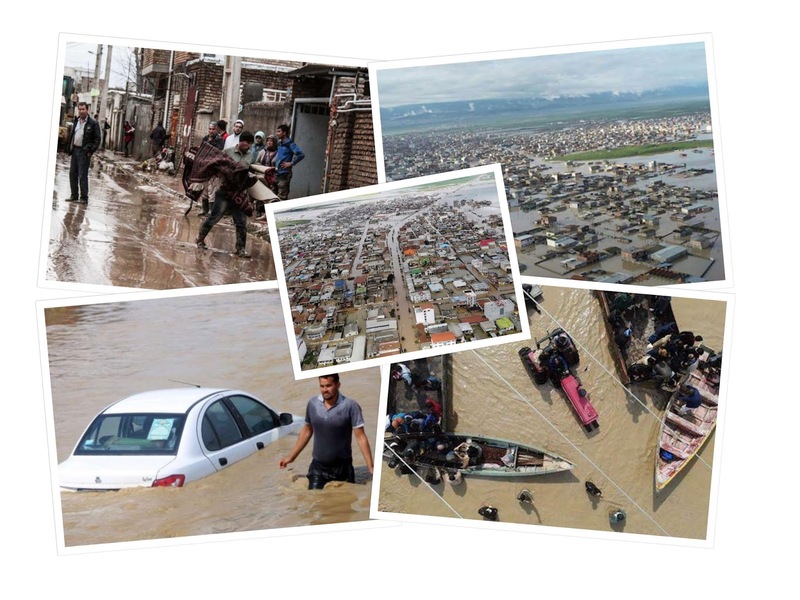 Flood has devastated people of 30 province of Iran's 31 provinces. 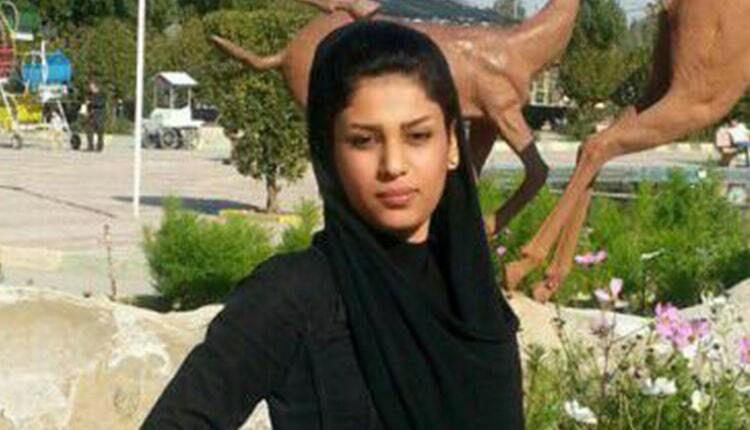 After four months of detention, Ameneh Zaheri Sari is held in limbo in the women’s ward of Sepidar Prison in Ahvaz. Ameneh 20 and a student of accounting, was arrested at her home on November 6, 2018, by IRGC (Islamic Revolutionary Guard Corp) intelligence forces. The IRGC Intelligence launched a new crackdown on the populace in and around Ahvaz, on September 22, 2018, when the parade of its military forces was attacked by armed men. Some 800 people were arrested in Khuzestan province and taken under interrogation. Arab human rights activists said at the time that many of the detainees were civil activists. Ameneh Zaheri Sari, her father and two brothers were arrested and detained in this wave of arrests. Hattab Zaheri Sari, Ameneh Zaheri Sari’s father, is reportedly in dire health conditions. He suffers from GI problems, back problems and cataract. His situation is deteriorating but prison officials have refused to grant him permission to go to a city hospital and undergo surgery. The dispensary of the women’s ward does not have a physician or even a nurse most days of the week. The meals are small and low-quality. Women usually find garbage in the food. Posted by Radio Irava at 11:27 a.m.